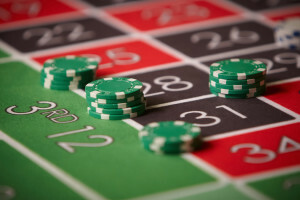 Live Roulette is by far the most popular online Live Casino game. You get to place your bets and watch a live dealer spin a real roulette wheel in real time. There are no computers to determine the winning number, no tricks, just live European roulette streamed directly to your computer or mobile device. You can play 24 x 7 at some of the best live casinos on the internet. I’ve played at and reviewed all of the sites on Live European Roulette.com. I’ve listed the ones that I think are worthy of recommending, where you will get a fair game, good customer service and prompt payment when you withdraw. So if you’re looking for single player, multi player, multi table, low stakes, high stakes, multi language or special features such as La Partage and French bets then look no further. I’ve listed all the roulette casinos in an easily readable Live Roulette Casinos list, where you can quickly single out the casino for you. Alternatively just pick one of the best live Roulette casinos on the right. Above all have fun and enjoy your online live casino experience. That’s a really good question and one I hope to answer quite quickly so I don’t bore the pants off you. I’m an ordinary bloke who quite likes playing table games at casinos. I’ve been doing it for years. I’m a low roller so I don’t expect to win or lose big, just enjoy myself and if I come out ahead then it’s a bonus. I play sensibly, so I do seem to win more often than I lose, but that maybe me looking through those tinted glasses you read about. I don’t profess to be an expert in playing the games, I have my strategies that I follow when I’m playing Blackjack, Roulette or one of the other card games available, but I’m not going to presume to give playing advice. I will however show you strategies that other people use, so if your interested you can do some more research. What I hope I bring to the table is personal experience of having played at a lot of online Live Casinos. I’ve been recording my experiences in a number of different blogs over the last year or so. I’ve got blogs that compare Live Casinos and Live Blackjack sites, where you will find specific information relating to those topics. The site layouts are very similar, as it’s easier for me to maintain and add content as I go. My personal blog Playing the House, just records my personal experiences where they don’t quite fit on my other blog sites. I’m trying to offer something different for people looking to play. When I was looking for advice all I could find were sites that had pretty much the same content but didn’t actually tell me what it was like to play at the casinos and what the games were really like!. So that was pretty much the inspiration for my blogs, to provide personal player driven information and advice. I’m hope you find this & my other sites useful and that you find a great live roulette casino to play at.